Are you looking to ENGAGE your students in your classroom? Do you want your students to master ALL the Common Core State Standards? Do you want a student centered notebook for you to help students make connections with the math concepts? 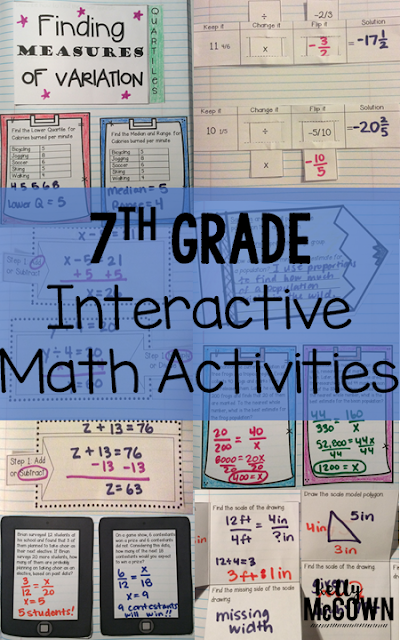 If you said YES, I would like to have a notebook to scaffold information, aide in my instruction, and get all students to a level of mastery in Math there is a GREAT resource for your students! 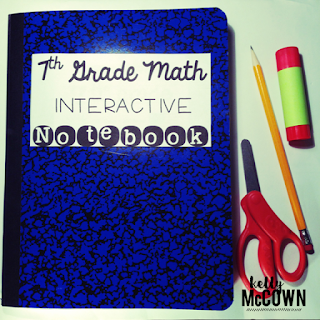 This Middle School Interactive Math Notebook Bundle is a COMPLETE BUNDLE covering ALL 7th grade Common Core Standards! It is a comprehensive resource to help your students review, practice, and apply all 7th grade Math concepts. Your students will master the content and be able to pass the End of Course exam. My students loved their INBs and took such great pride in them! This is truly the best way to keep all of their material in one spot and let them refer to it throughout the year. This tool can be a success in your classroom too. Engaging students in actively participating in Math with clear directions and resources to guide them through the Math. This Interactive Math Notebook makes it easy to PRINT & GO, just facilitate the learning process and your students' potential is endless!